We have some of fine examples of monorail being built in our Construction Gallery, don't we? 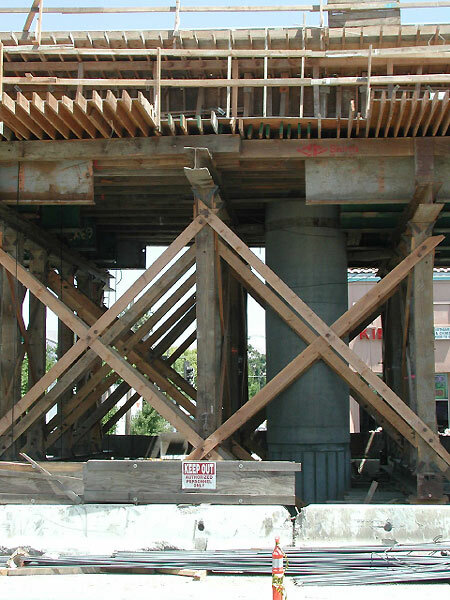 Sure we do, but I thought for comparison purposes it would be nice to show what light rail construction looks like. 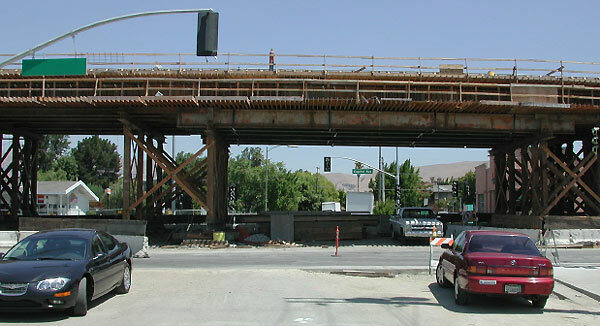 So, on August 2, 2002 I visited the Tasman Corridor construction zone of Santa Clara County's light rail system (SCVTA). Here's what I found. Let me stress this point...THIS IS NOT MONORAIL CONSTRUCTION! 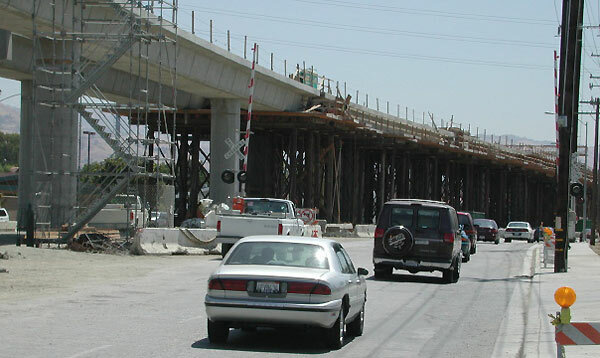 This is elevated light rail and surface light rail construction. My oh my, I don't remember seeing any support structure like this for monorail. 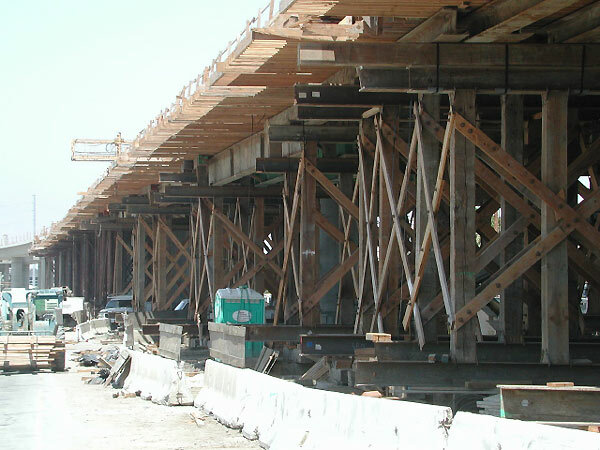 They don't just instantly lift light rail pieces of track into place like monorail, do they? Say, how much longer does this take to complete? Perhaps years instead of months? Yep! Looks like some traffic lanes have been pinched down to one lane per direction. Don't even think about coming here during commute hour. 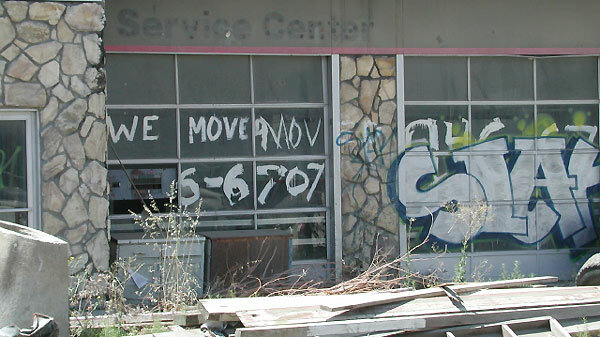 A common site along a light rail corridor...Out of Business! Customers can't access businesses easily and this goes on for years. What's wrong with this intersection? Oh yeah, it's closed. Ya know, I saw a LOT of these closed intersections in just a few miles along the alignment. 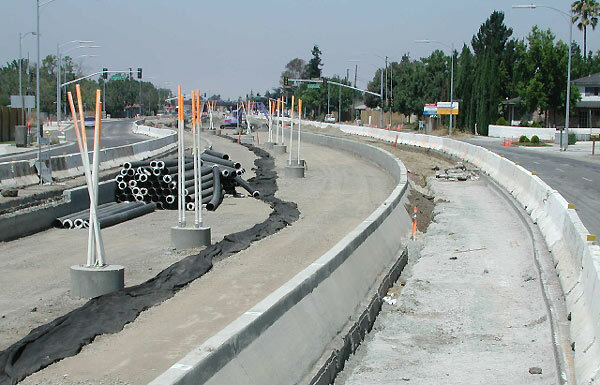 At the risk of annoying you by repeating, light rail construction goes on for YEARS! Wow, I can't even see the sky through this mess! And this is what transit agencies want? As they say, follow the money! Let's not forget what kind of space that surface light rail takes up. What's worse, most of this space is forever taken from vehicles, even when the system opens. This concludes my tour of light rail construction. Hope you enjoyed the view, especially those of you that have this coming to your neighborhood. 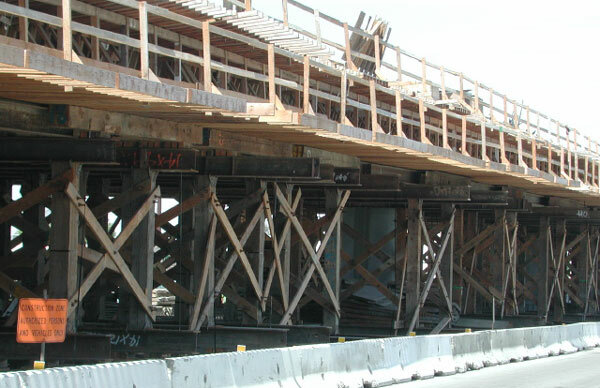 Don't forget to visit our Construction Gallery to compare this with monorail construction.